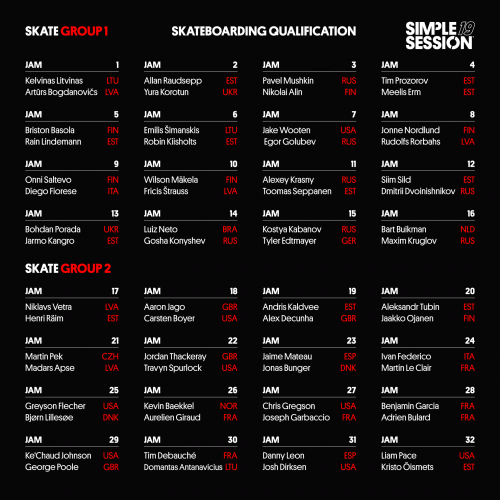 Skateboarding Qualification line-up for Saturday 02.02. The best 12 skaters will advance to the finals on Sunday 03.02! ← BOOM! Legends Session comin’ up!